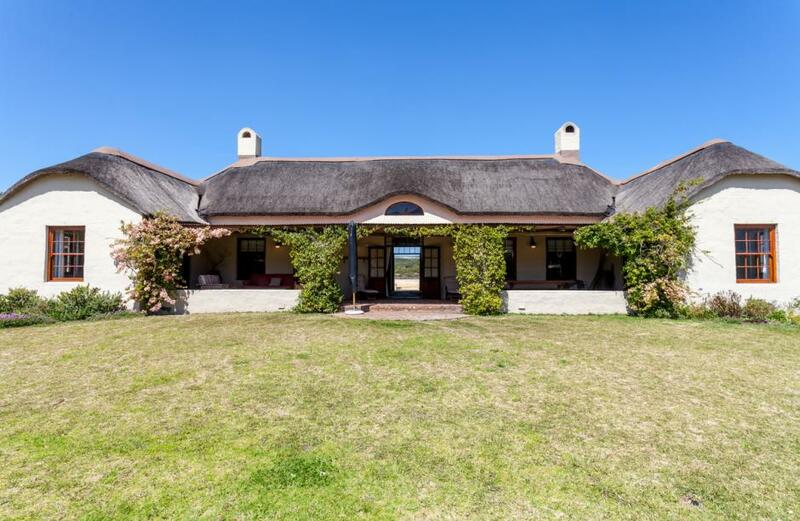 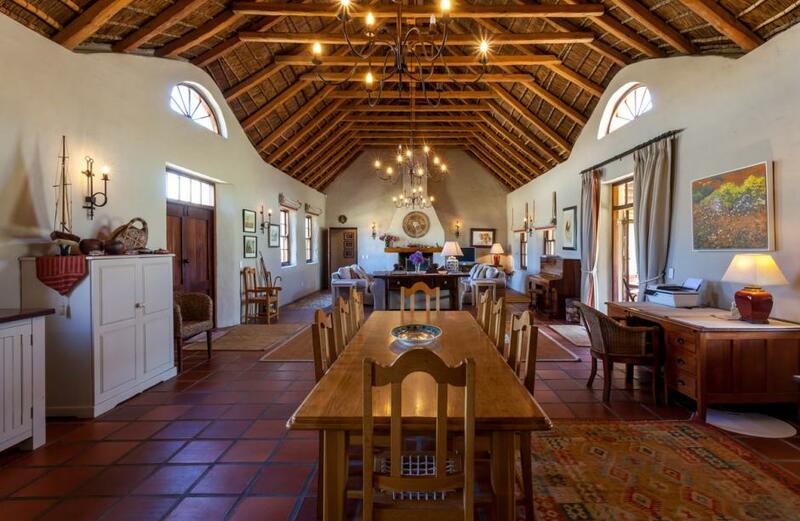 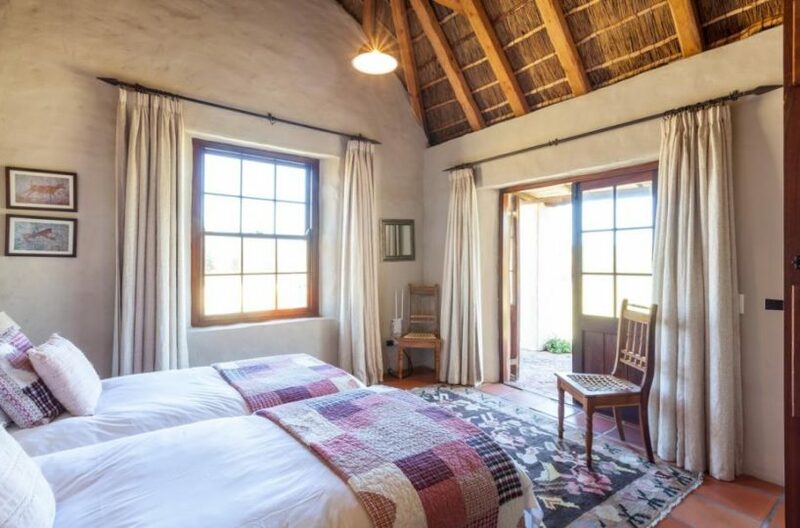 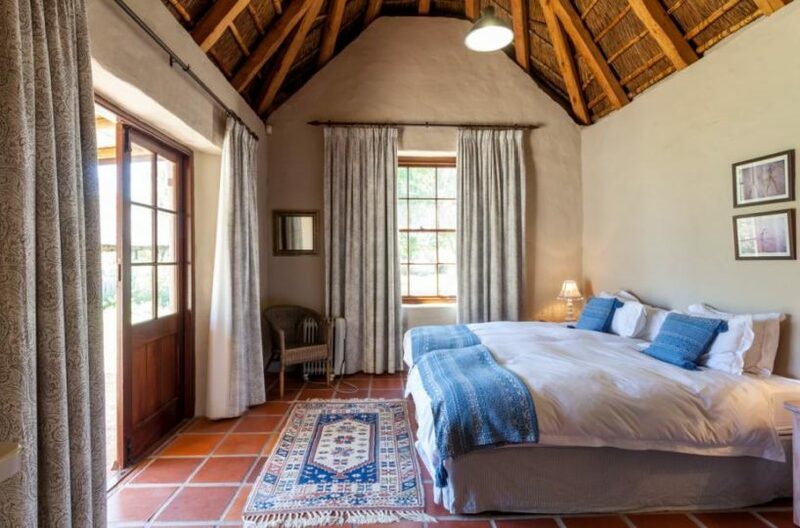 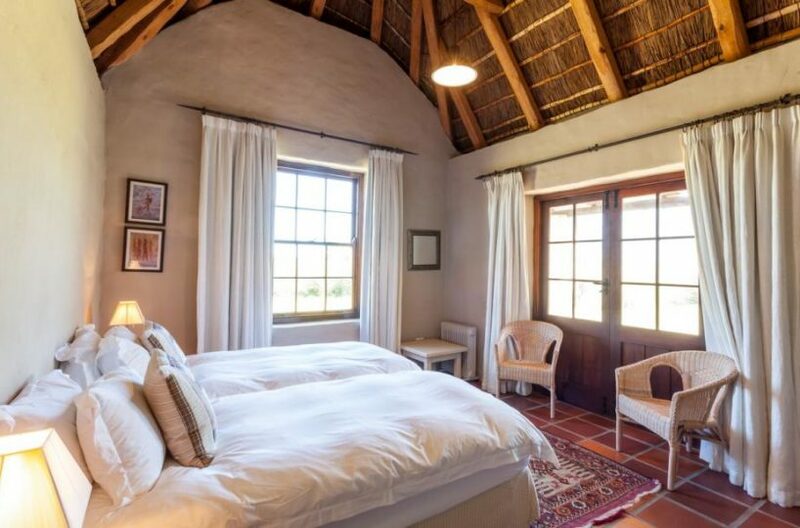 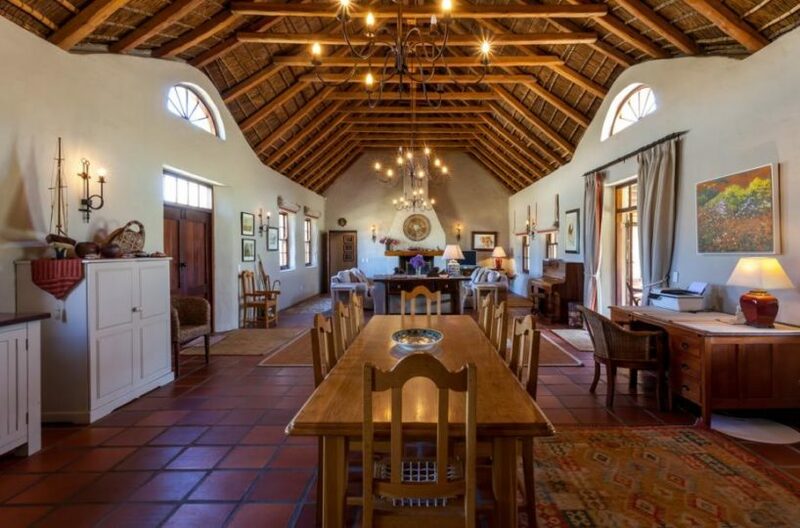 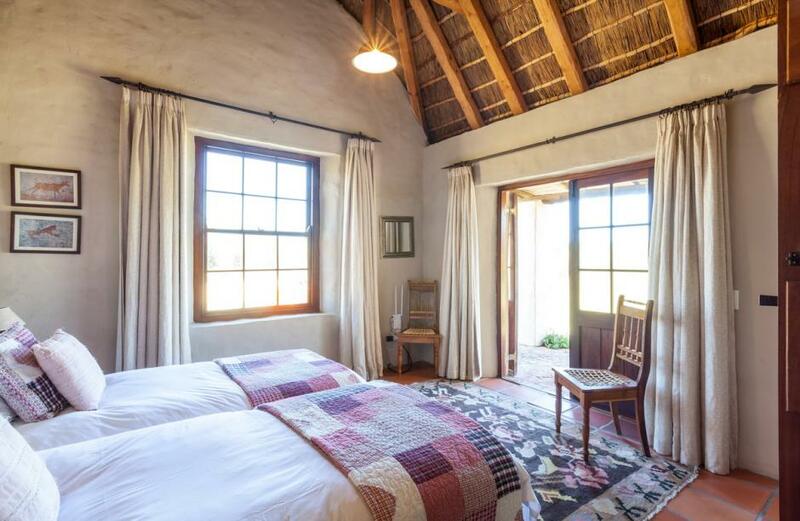 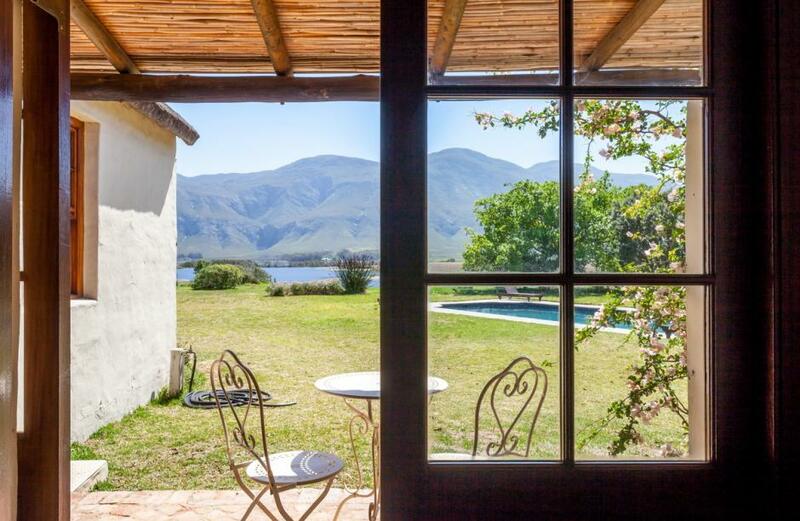 A stunning 5 bedroom farmhouse in the most beautiful setting in Standford, 1.5 hours from Cape Town. 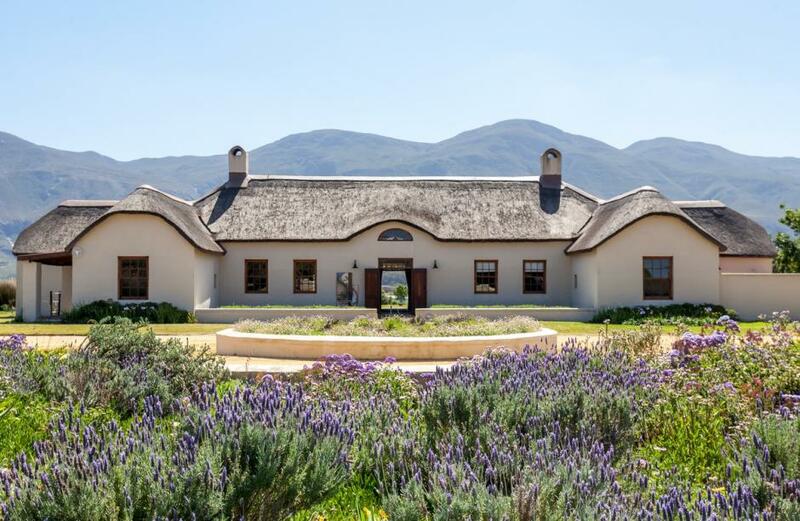 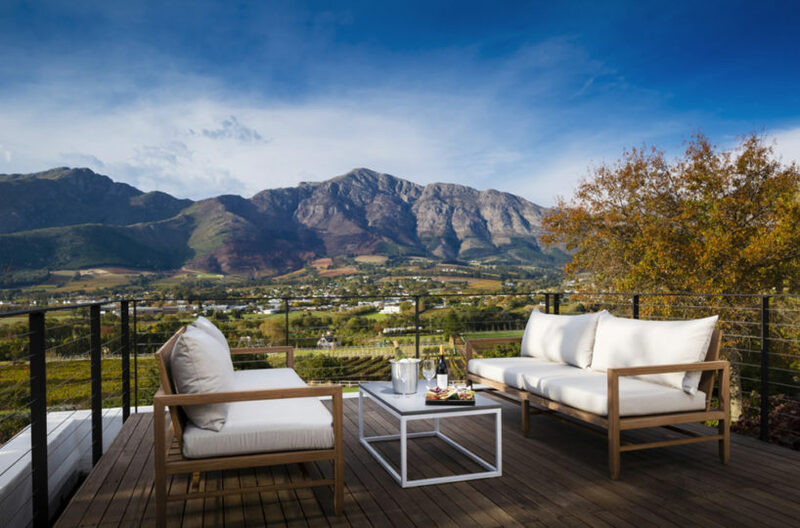 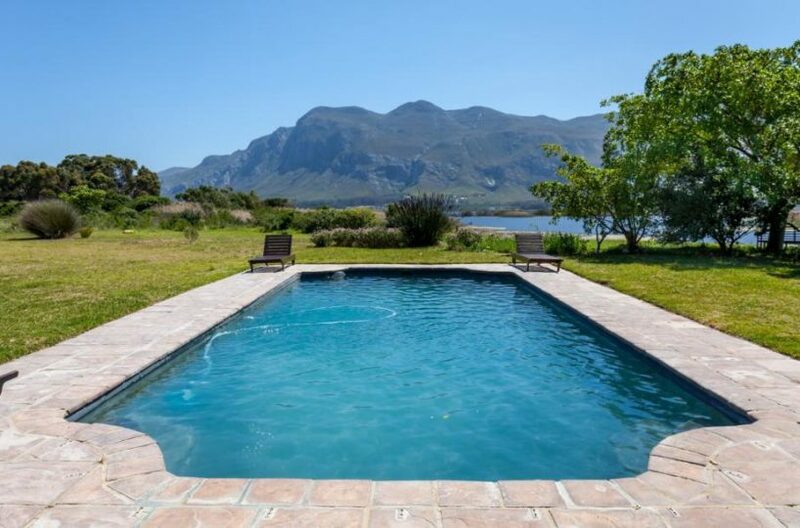 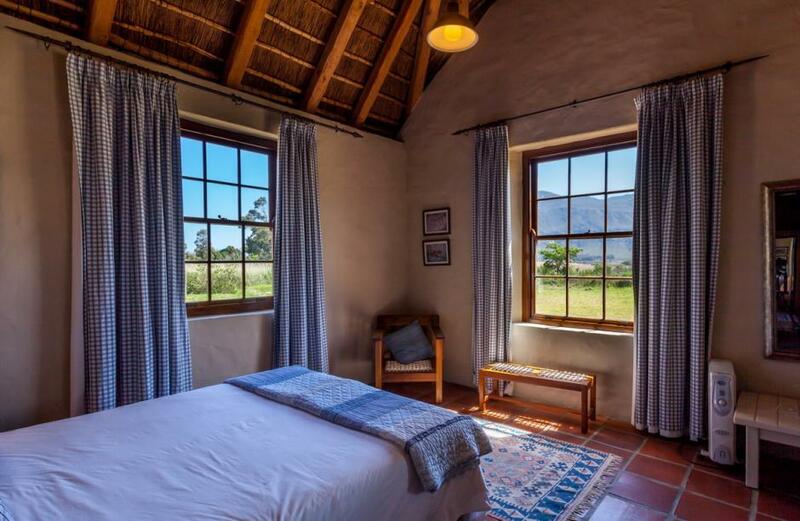 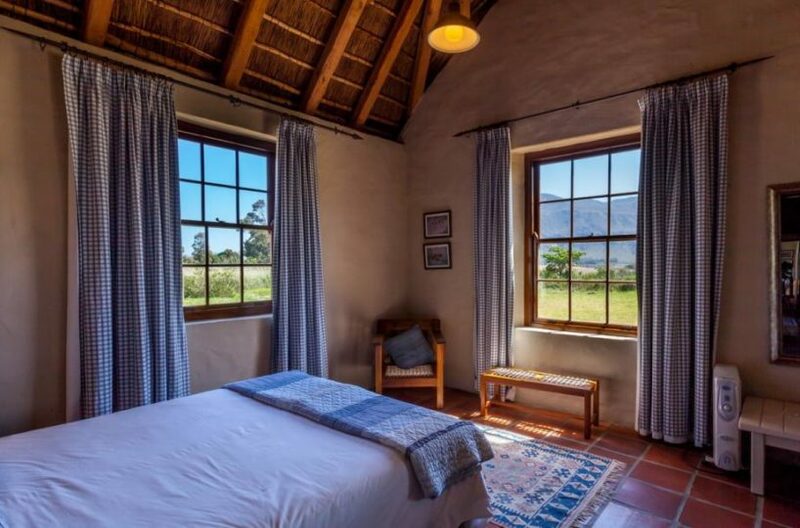 Reiersvlei farmhouse in Stanford enjoys the most exceptional setting on the Stanford lagoon looking directly onto the impressive Olifantsberg mountains that lie behind Hermanus. 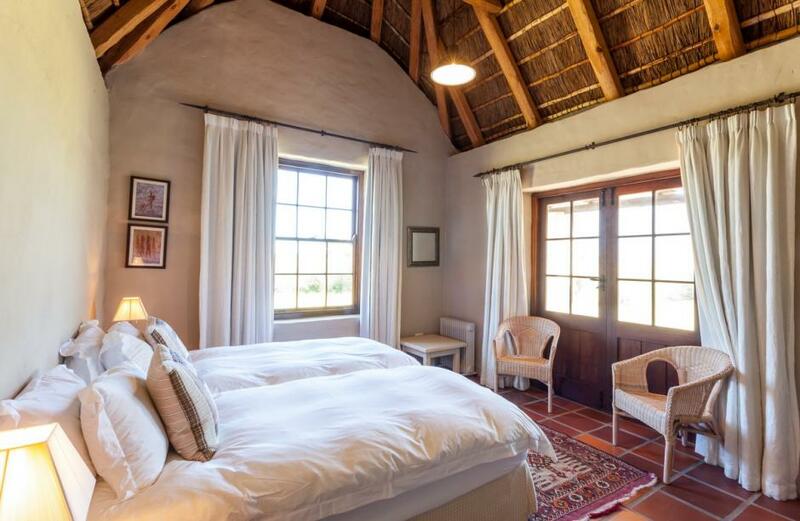 As the sun sets, watch the resident flock of flamingos fly overhead and feel the true magic of African life. The Stanford farmhouse comprises 5 double (or twin) bedrooms, two with en-suite and and the others sharing one bathroom between two bedrooms. 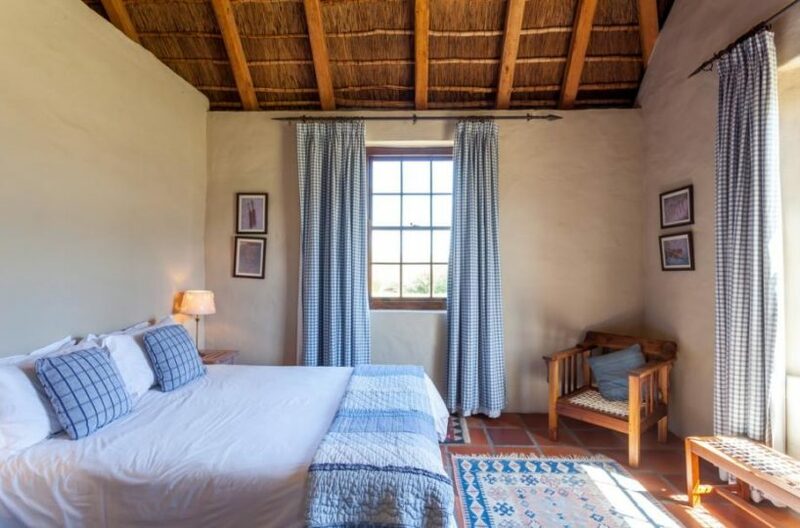 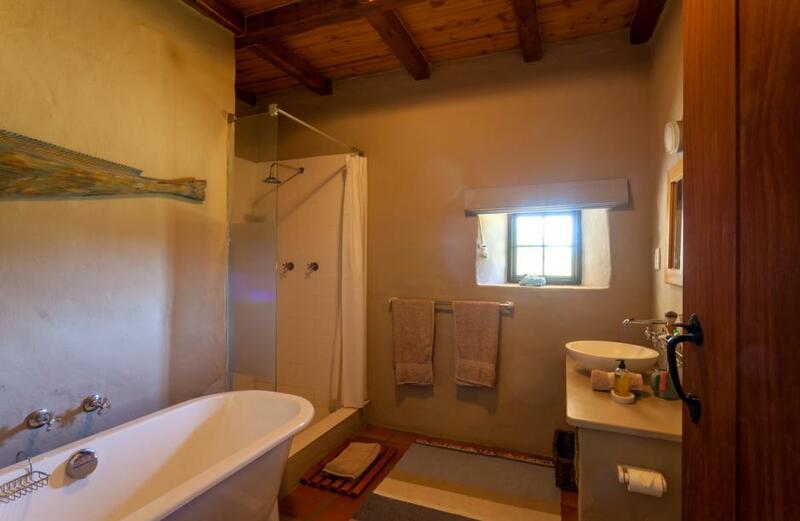 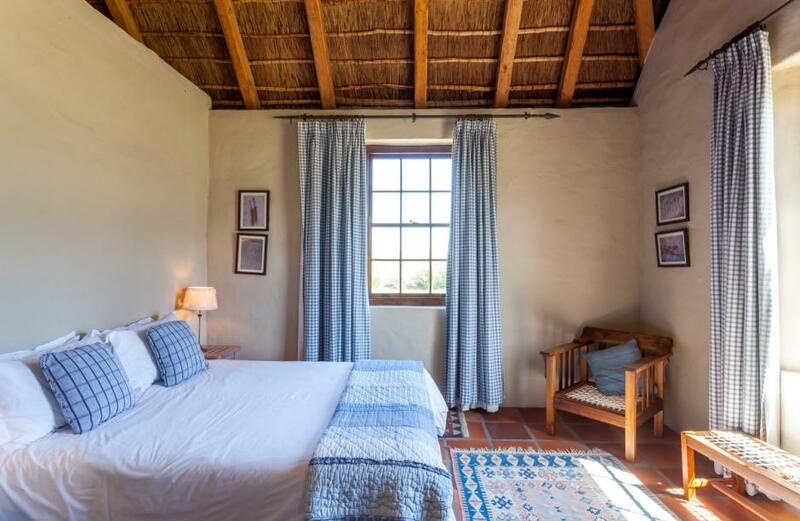 The bedrooms are all spacious and private and beautifully decorated in a country style. 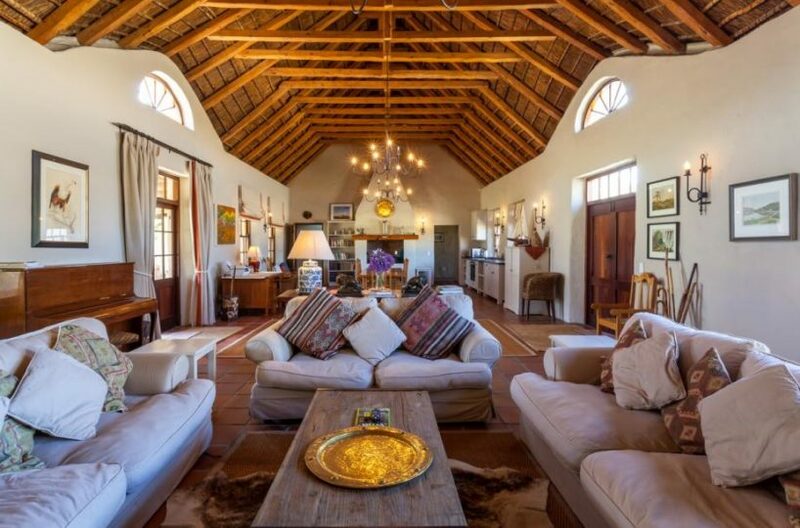 The main part of the house is made up of an open plan kitchen and living room with large kitchen table, oversized sofas and a big log fireplace for cosy evenings. 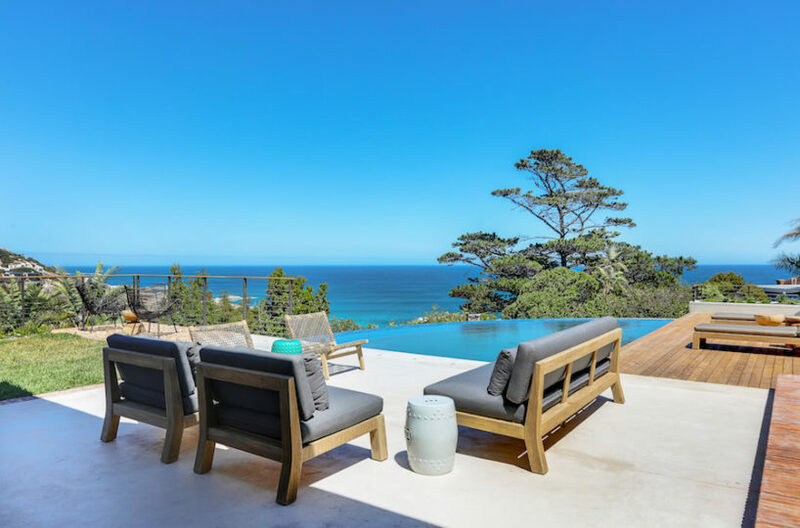 The living area opens up onto the large garden, and undercover terraces (one with an outdoor dining table and the other with comfortable lounge seating). The beautiful garden has a large swimming pool and sun loungers and leads down to the lagoon edge. 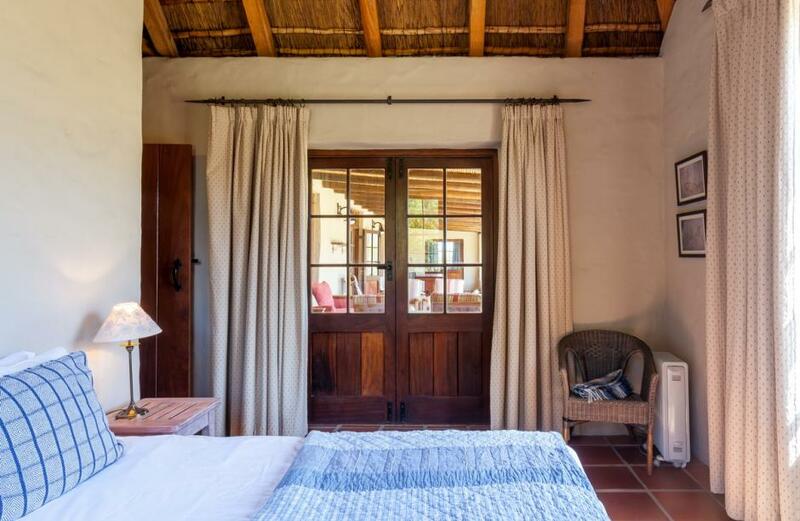 The garden is extremely quiet and peaceful with only the sounds of the resident birds to be heard. 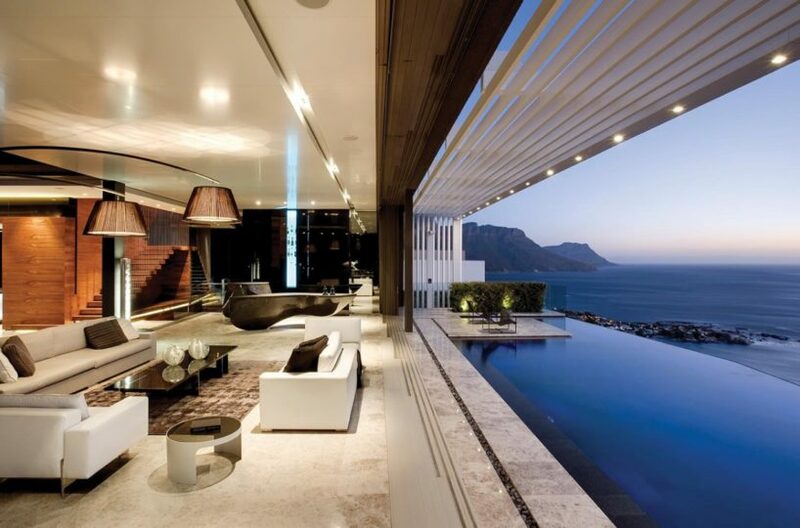 We regret that pets are unfortunately not allowed at this property.